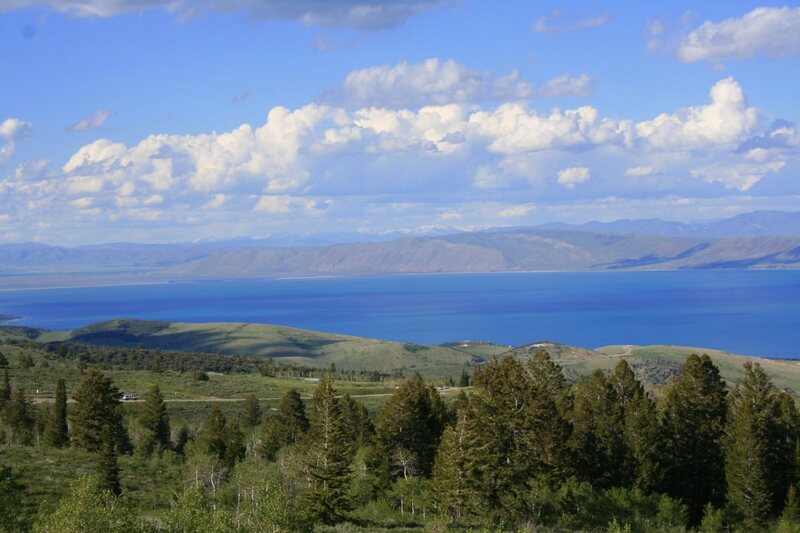 The deep, strikingly blue waters of Bear Lake have been a draw for visitors dating back to its wild west days when mountain men roamed the surrounding hills and met on the lake’s southerly beach to trade and revel. These days, the lake is abuzz with paddlers, waterskiers and wakeboarders, jet skis, and beach-goers. While the water remains the namesake attraction for this valley, there’s far more for visitors and outdoorsy folks to enjoy. The towns surrounding the lake are charmingly small, with their biggest annual influx being during their late-summer raspberry festival. But there’s plenty to do year-round, even if you aren’t diving into carton after carton of deliciously sweet farm-picked berries. Here are 15 classic adventures, big and small, indoors and out, to draw interest from just about any visitor. This list spans every season, so you’ll want to start planning a follow-up visit as soon as you leave. You wouldn’t want to miss out. Of course the easiest and sweetest thing to do in the summer is to stop by a roadside berry stand and pick up a carton to eat plain, by the mouthful. Then, stop by any diner or fast-food counter in town and get a local raspberry shake. 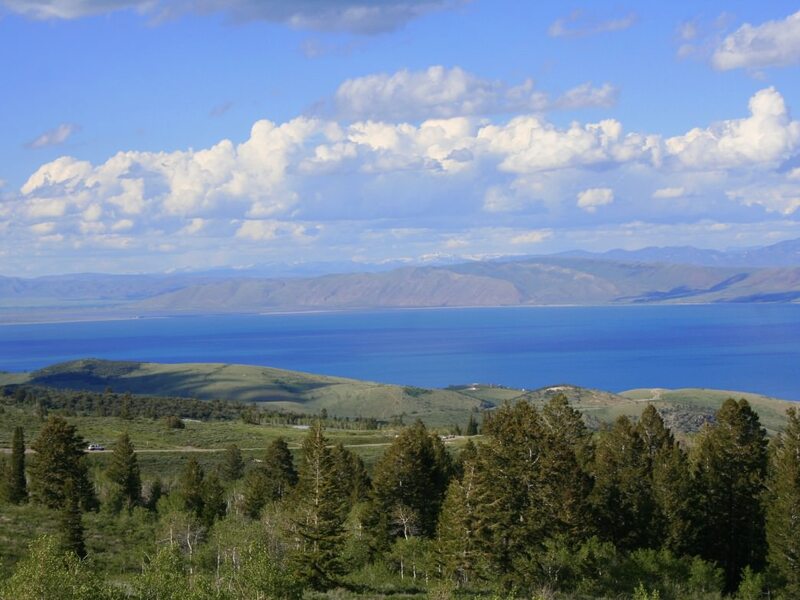 This sandy beach lies on the southern end of Bear Lake, and it’s popular on summer days for a reason: It’s the perfect place to set kids loose to build sand castles and play in the lake’s shallows. There’s also an adjacent locally owned drive-thru for when appetites perk up. The best way to experience the lake may be on the water. Whether your weapon of choice is motorized or not, rent a boat, kayak, or paddleboard for a few hours and explore the water. Naturally you can hop in to cool off mid-paddle. This mellow, family-friendly hike lies near the summit of Logan Canyon after it starts descending into Bear Lake Valley. Over the course of a 1.5-mile loop, you’re treated to lovely views of the lake below and you’ll wander through some wildflowers, aspens, and fir trees. For those looking for a more challenging hike, Steam Mill Lake is a high-elevation beauty farther into Logan Canyon above Bear Lake. You’ll pass through forests, a stream, and a lake with a glorious glacial cirque and wildflowers as far as the eye can see. It’s well worth the 10-mile round-trip trek. 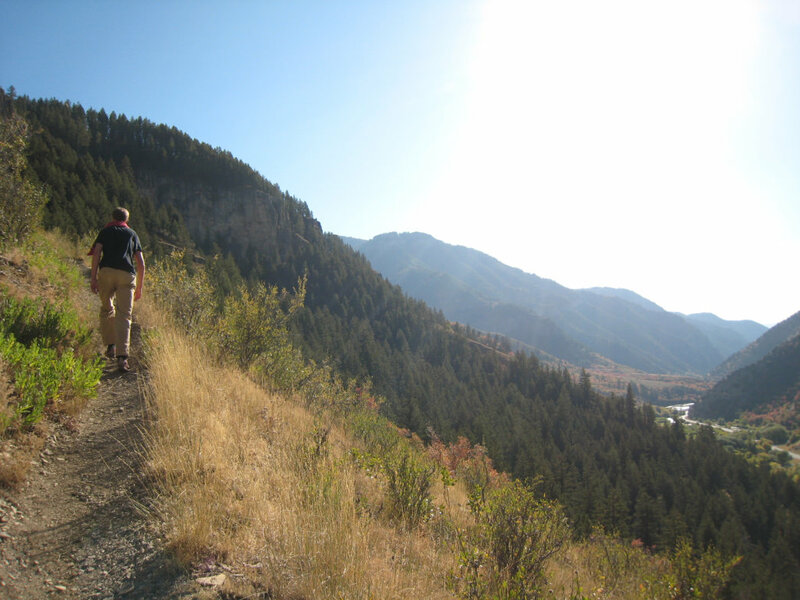 If you’re a climber, you won’t want to miss Logan Canyon’s dozens of amazing (and challenging!) routes. Bring your gear along, study the local beta, and warm up on First or Second Practice Walls before checking out the more difficult China Wall, which gives seasoned pros a run for their money. 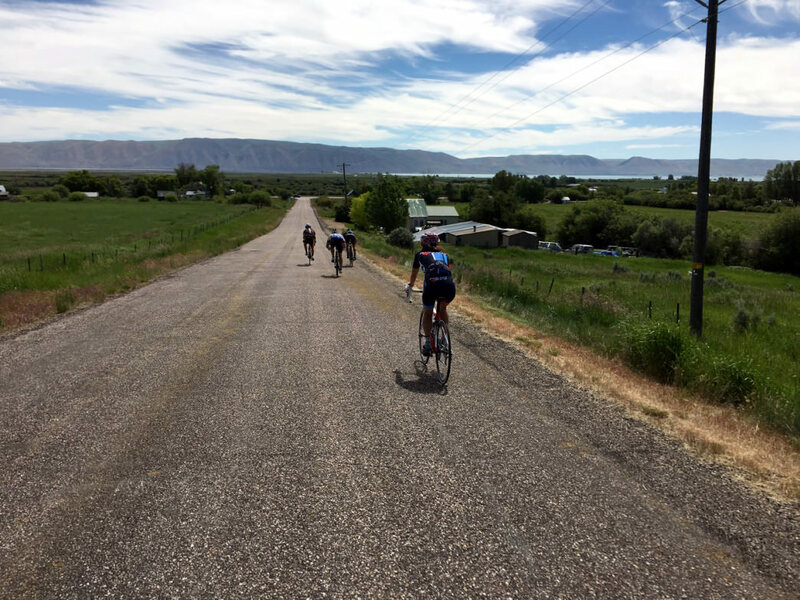 If road cycling’s your thing, you’ll want to plan a daylong circumnavigation of the lake—covering a total of 52 gorgeous miles of shoreline. Of course, shorter jaunts are just fine, too: Try heading north from the town of Garden City along the shoreline path and explore as far as you can before you get hungry for another raspberry shake. Of course there are plenty of beachside camping spots and rentable rooms in the Bear Lake Valley, but if you want to go all-out, give glamping a whirl. Located at Conestoga Ranch, it’s camping’s luxurious cousin: You’ll sleep in a tent or covered wagon with a proper floor and furnishings. It’s a high-class camping trip you won’t ever forget. This is one for the history buffs—or anyone who appreciates the grueling trek the area’s early pioneers undertook to get here. 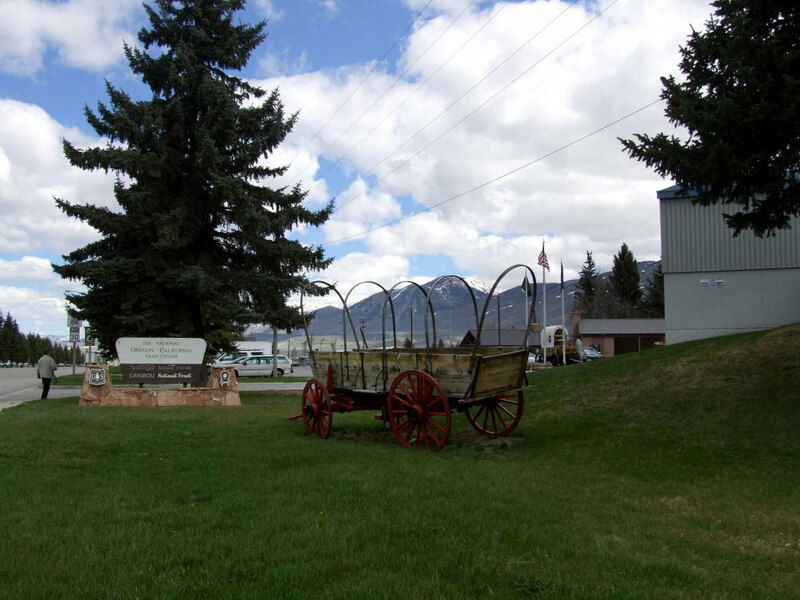 This historic trail center offers a gold mine of information and stories, as well as a simulated wagon train that shows you what it was like. The area is chock-full of worthy mountain bike trails, and their difficulty range covers just about any biker’s ability, from amateur to expert. Bring your bike or pick up a rental in town. Novices can check out Beaver Creek’s dirt-road trail, while more experienced riders should jump into the rolling singletrack of Bunchgrass or Jardine Juniper. 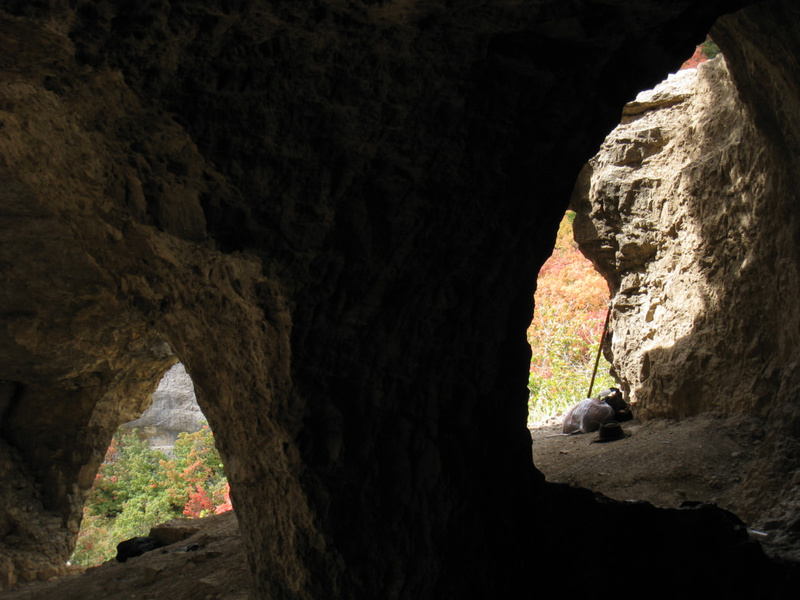 Just outside the little town of St. Charles, you can check out a stunning (and chilly) cave with a series of nine rooms full of fascinating stalagmites, stalactites, and banded travertine. Tours begin every half hour all day in the summer—be sure to bring a jacket to explore this underground wonderland. Just 20 minutes away from Bear Lake, the charming local ski resort of Beaver Mountain offers quality Utah powder, a generally quiet atmosphere, and a small day lodge where you can grab a grilled cheese for lunch. They have a rental shop for equipment if you need it—but a day spent cruising the aspen-gladed slopes of “The Beav” is always a day well spent. Most winters, the surface of Bear Lake turns into a vast ice field, which is a fascinating time to venture out for an ice fishing trip. You can jig for trout and whitefish as long as you’re ready to brave some extra-chilly conditions. The catch is well worth it. There are a few “official” cross-country ski tracks, including the Bear Lake Golf Course and nearby Beaver Mountain Ski Area. But just about any local snowy trail or pathway will do. Hit up a local gear rental shop to snag some skis—and if self-propelled isn’t your thing, they’ll have the inside scoop on where to go with a snowmobile. The chilly, snow-blanketed area known as “The Sinks” just off the Logan Canyon road happens to have some perfect slopes for snow tubing and sledding. It’s something any age can get a kick out of, and it’s as low-tech fun as you can get. Just bundle up and bring a thermos—this exact area is known for its bitterly cold temperatures.